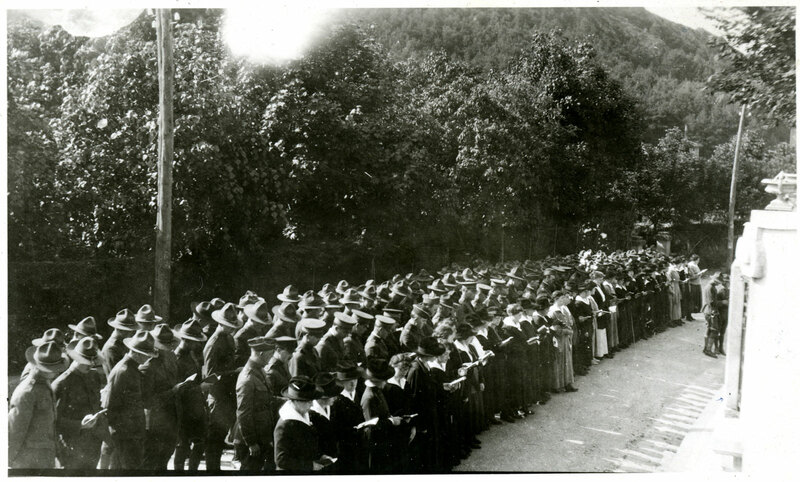 This spirit was evident in the medical units supporting U.S. forces in the first World War, including U.S. Army Base Hospital 20, shown here conducting a Memorial Day service in front of the Main Surgical Building of the hospital in Chatel Guyon, France on May 30, 1918. After the war ended, the surviving members of these same medical units wanted to ensure that their fallen comrades were remembered by future generations. They collected voluntary donations for a large bronze memorial tablet, soliciting contributions of $1 from Medical Department workers by placing notices in the Journal of the American Medical Association, the American Journal of Nursing, and other publications popular among medical professionals. 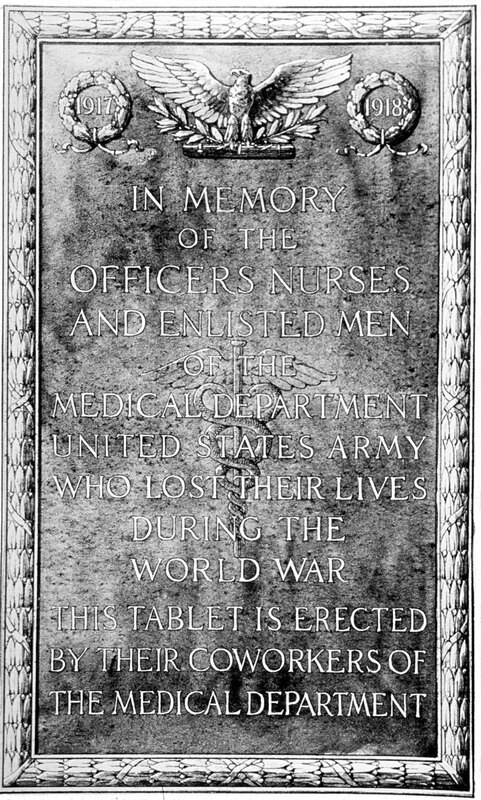 The response was so great that instead of a single tablet, the medical department was able to have four bas-relief plaques created, and placed them at key Army bases around the country—Carlisle Barracks, Pennsylvania, home of the Army’s Medical Field Service School at that time; the medical school at Walter Reed Army Medical Center; Letterman Army Hospital in San Francisco, California; and Fitzsimons Army Hospital (named for Lieutenant William T. Fitzsimons, an Army doctor and the first American officer killed in the war) in Denver, Colorado. Many Americans will be enjoying a day off work and perhaps a trip to the beach, a family cookout, or just a relaxing time with loved ones this Memorial Day. However you spend the day, keep in mind the spirit of the occasion, and remember those who gave their lives in defense of freedom.